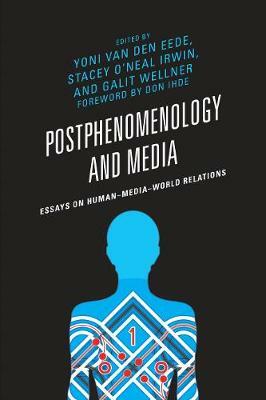 Postphenomenology and Media: Essays on Human-Media-World Relations sheds light on how new, digital media are shaping humans and their world. It does so by using the postphenomenological framework to comprehensively study "human-media relations," making use of conceptual instruments such as the transparency-opacity distinction, embodiment, multistability, variational analysis, and cultural hermeneutics. This collection outlines central issues of media and mediation theory that can be explored postphenomenologically and showcases research at the cutting edge of philosophy of media and technology. The contributors together enlarge the range of thinking about human-media-world relations in contemporary society, reflecting the interdisciplinary range of this school of thought, and explore, sometimes self-reflexively and sometimes critically, the provocative landscape of postphenomenology and media.